love, laurie: becoming a "morning person"
even on weekends, i often wake up early to start tackling our never-ending to do list. it's rare that i get to sleep in past 7am, but i don't really classify myself as a "morning person." i'm not one of those people who can wake up at 5am to go for a run, but i'm also not one of those people who can lounge in bed until 10am. 7am is my ideal time to wake up. however, i recently started a new position at work which requires me to be up a bit earlier than i'm accustom to waking. 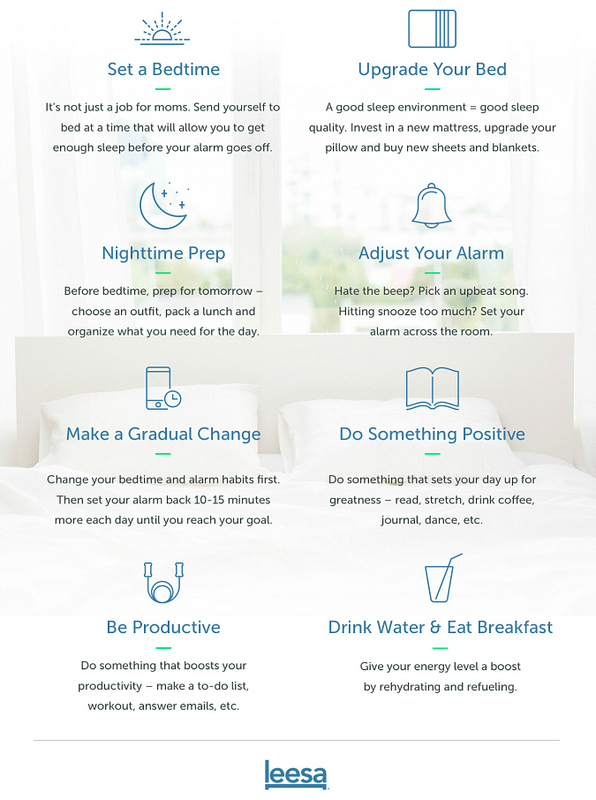 a new year means new beginnings, so today we're sharing some of leesa's tips for becoming a morning person . . . I am a morning person only if I am not going to work. How do I cure that?